As Christmas celebration continues, we celebrate the holiday season with a new store! Publika, here we come! 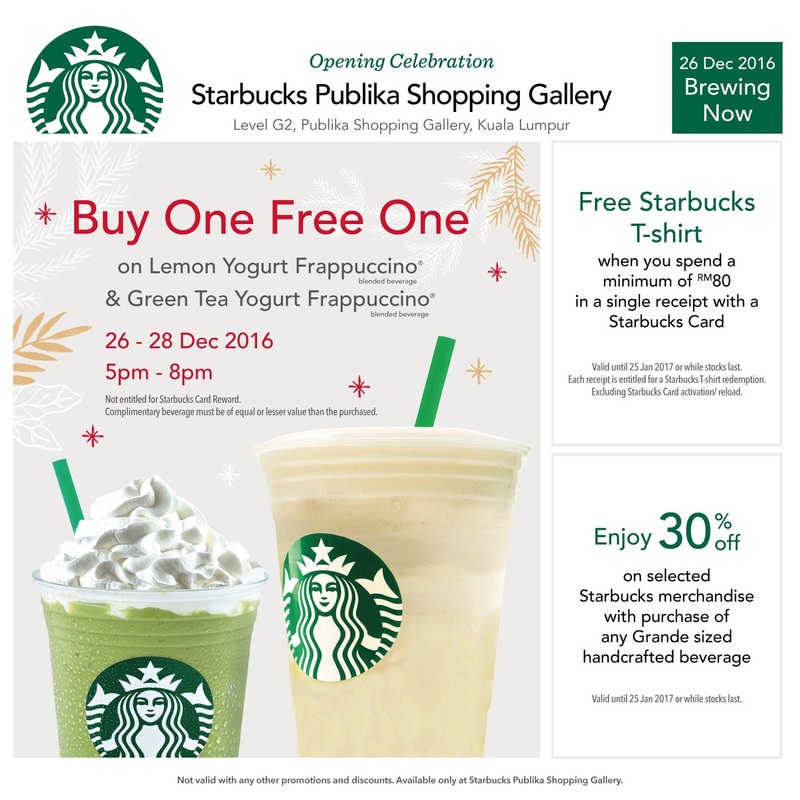 Available only at Starbucks Publika Shopping Gallery. Valid until 25 January 2017 or while stocks last. Each receipt is entitled for a Starbucks T-shirt redemption. Excluding Starbucks Card activation / reload. with purchase of any Grande sized handcrafted beverage.